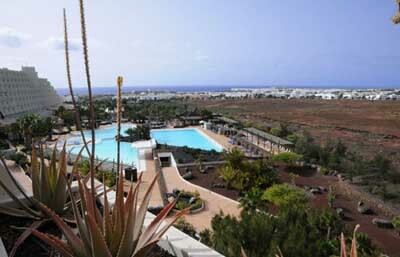 Address: Atalaya, 3, Costa Teguise (Lanzarote), Islas Canarias. Beatriz Costa & Spa is situated in a tranquil area of the Costa Teguise and has nearby spectacular gardens, waterfalls and lakes adorning the interior of this region. The complex boasts facilities aimed to help you both be active and to relax, including a Talasoterapia centre and a sports centre for the practice of tennis and minigolf. One of the main attractions in this establishment are the 2000 m² of swimming pools situated in the middle of this tropical garden. One pool is heated and another for children. The hotel has 3 restaurants, including an Oriental restaurant, all offering buffet meals. Show cooking is also available. There is a free daily shuttle service to Las Cucharas Beach and the centre of Costa Teguise. There is also a free weekly shuttle service to Arrecife. Guests are required to show a photo identification and credit card upon check-in. Please note that all Special Requests are subject to availability and additional charges may apply. Please inform Beatriz Costa & Spa in advance of your expected arrival time. You can use the Special Requests box when booking, or contact the property directly with the contact details provided in your confirmation. Please note that Half Board rates include breakfast and dinner. Drinks are not included. Please note during dinner service, gentlemen are required to wear trousers. Please note that the total amount of the reservation needs to be paid at the time of check-in. When booking more than 5 rooms, different policies and additional supplements may apply. Please note that children are considered as 2 to 11 years old. Those from 12 years are considered adults.